El Arbo is a tall bike in the shape of a tree. 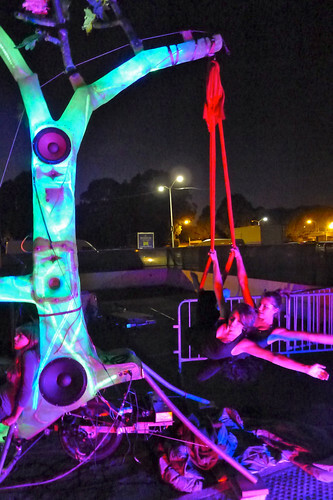 Acrobats perform on the branches and it anchors a stage that’s lit-up with pedal powered lights. Mentioned El Arbo over the weekend in the Urbo Tripedo post and this photo is from a larger Flickr photoset. 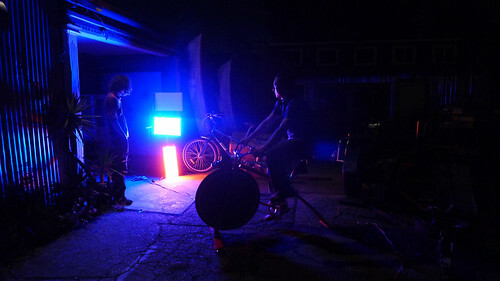 Rock the Bike is always up to something crazy like this. Uploaded by Rock The Bike | more from the Bike Hugger Photostream.